Hundreds of Palestinians attended the ‘trial’ on 10 March, many carrying small signs calling on Abbas to “go away”. The charge sheet against the 83-year-old accused him of conducting security coordination and promoting normalisation with Israel, as well as abusing his position for personal and family interests. 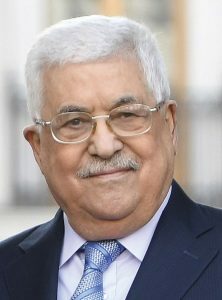 At the end of the ‘trial’, the ‘court’ announced that he should be punished with the most severe penalties in accordance with Palestinian Penal Code – a reference to the death sentence.